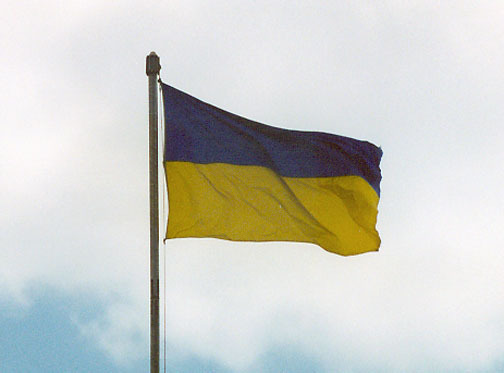 Ukraine (Ukrainian Ukraina), country in eastern Europe, and the second largest country in Europe after Russia. 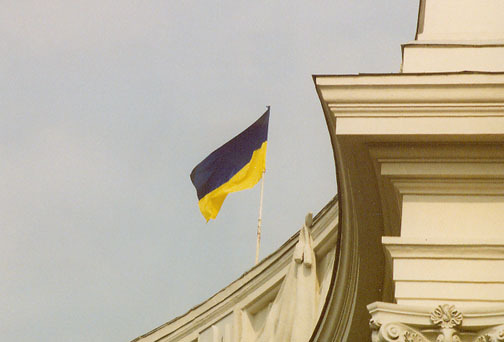 Ukraine is bordered on the west by Poland, Slovakia, and Hungary; on the southwest by Romania and Moldova; on the south by the Black Sea and Sea of Azov; on the east and northeast by Russia; and on the north by Belarus. 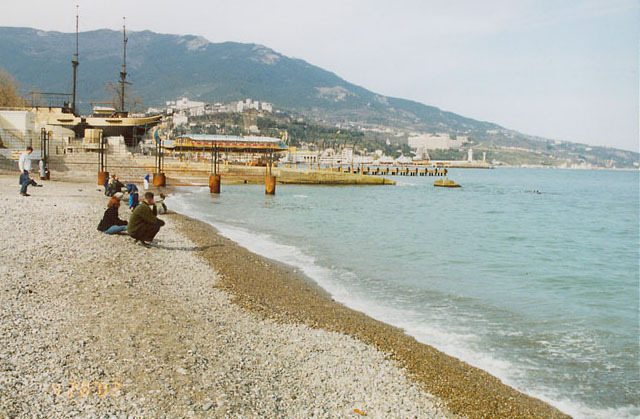 The Crimean Autonomous Republic-encompassing the Crimean Peninsula, or Crimea, in the south-is included in Ukraine's borders. 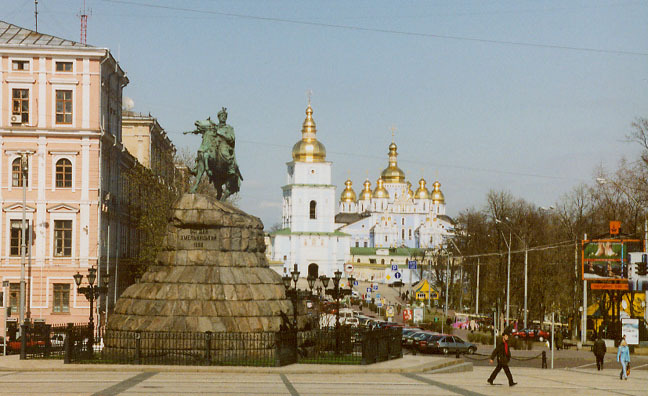 The capital and largest city is Kyiv (Kiev). Much of Ukraine is a fertile plain suited for agriculture. 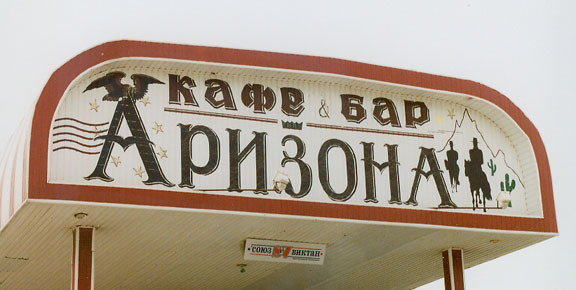 Ukraine is rich in natural resources, and has a developed economy with significant agricultural and industrial sectors. The country has a democratic form of government headed by a president. 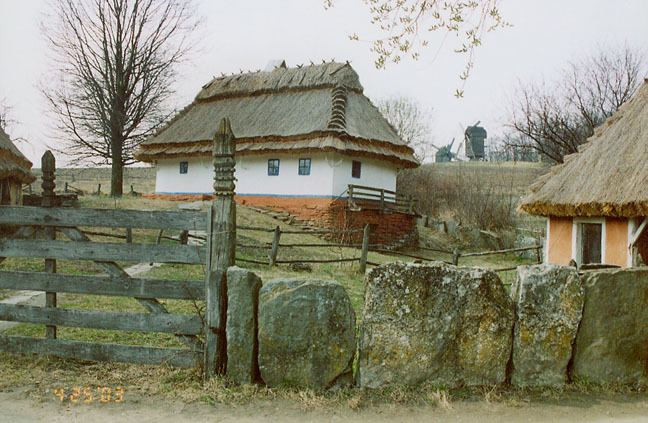 From the 9th century AD northern Ukraine was part of Kievan Rus, the first significant East Slavic state, which succumbed to the Mongol invasions of the 13th century. 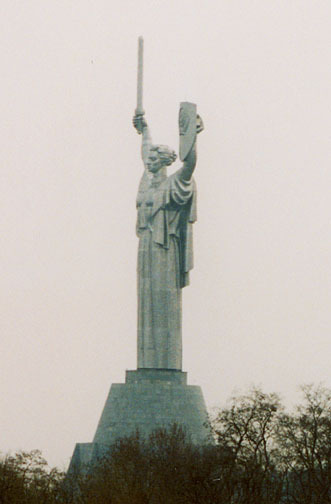 Ukraine was for centuries thereafter under the rule of a succession of foreign powers, including Poland and the Russian Empire. In 1918 a Bolshevik (Communist) government was established in Ukraine, and in 1922 the Ukrainian Soviet Socialist Republic (SSR) was one of the four founding republics of the Union of Soviet Socialist Republics (USSR). 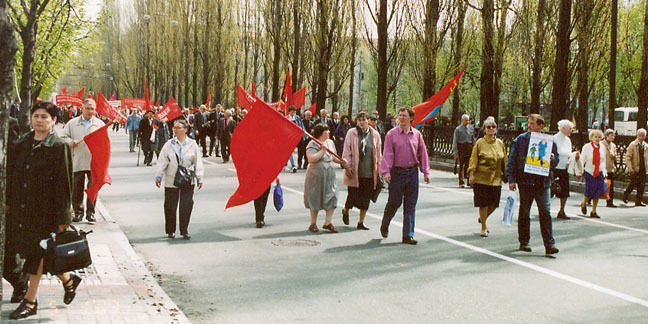 Ukraine's declaration of independence, approved by a popular vote on December 1, 1991, was a major factor in the USSR's collapse later that month. 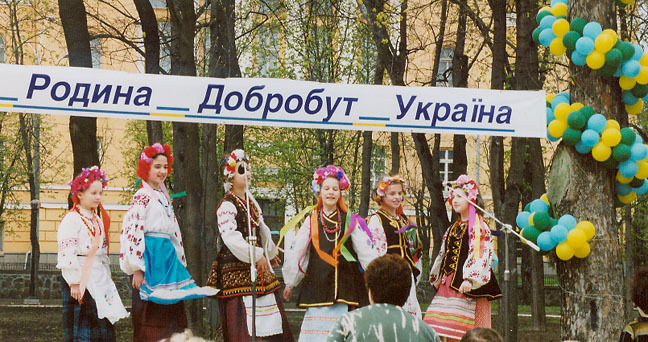 The population of Ukraine was estimated in 2000 at 49,506,779, giving the country a population density of 82 persons per sq km (212 per sq mi). The most notable recent demographic trend has been a decline in population-with an estimated loss of nearly 1.2 million between 1990 and 1997-due to death rates exceeding birth rates. Leading factors in the country's low fertility and high mortality rates are environmental pollution, poor diet, widespread smoking and alcoholism, and deteriorating medical care. Some 72 percent of the population lives in cities and towns. 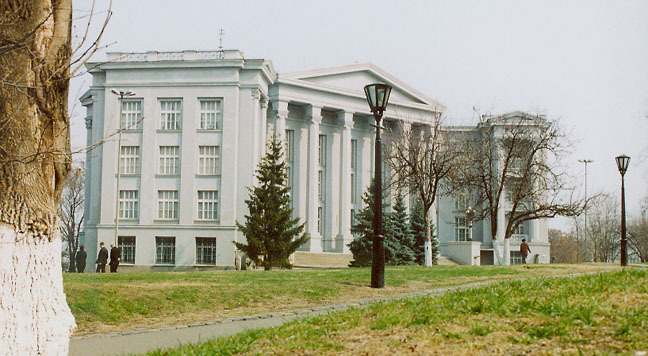 The largest cities in Ukraine are Kyiv, the country's capital and economic, cultural, and educational center; Kharkiv, noted for its engineering expertise, machinery plants, and educational institutions; Dnipropetrovs'k, a center of metallurgical and aerospace industries; and Donets'k, known for mining and metallurgy. 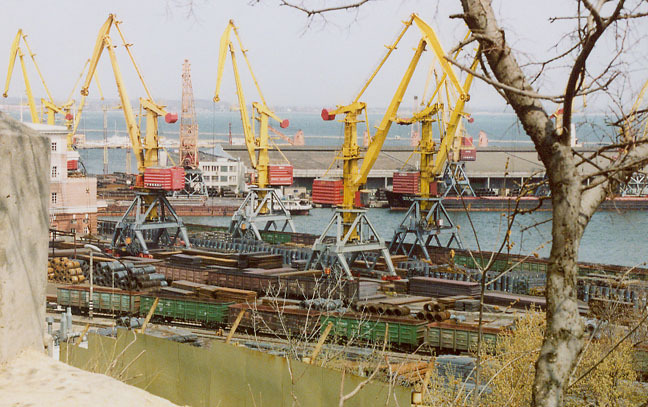 Odesa (Odessa), on the Black Sea coast, is the country's largest seaport. 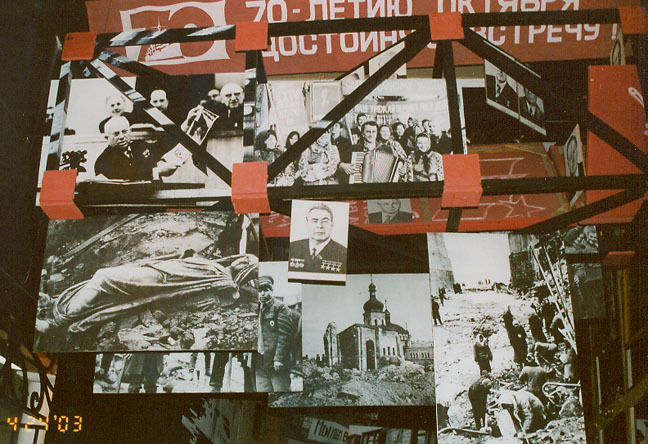 During most of the Soviet period, the state imposed severe restrictions on religious activity, banned many churches, and persecuted religious leaders. Many believers, forced underground, continued to adhere to their faiths, however. Religious activity remained relatively strong in Ukraine, and it has greatly expanded since the collapse of the Soviet Union in 1991. 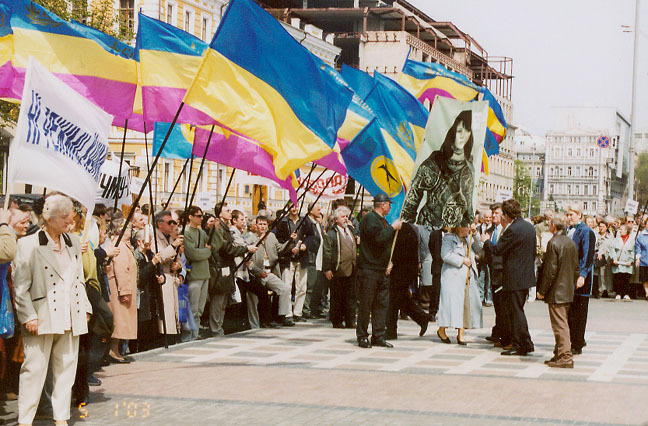 A majority of the population, or 67 percent, adheres to Eastern Orthodoxy through the Ukrainian Orthodox Church or the Ukrainian Autocephalous (independent) Orthodox Church. Until 1990 all of the country's Orthodox churches were part of the Ukrainian exarchate, which was subsidiary to the patriarchate (jurisdiction of the patriarch, or head) of the Russian Orthodox Church. 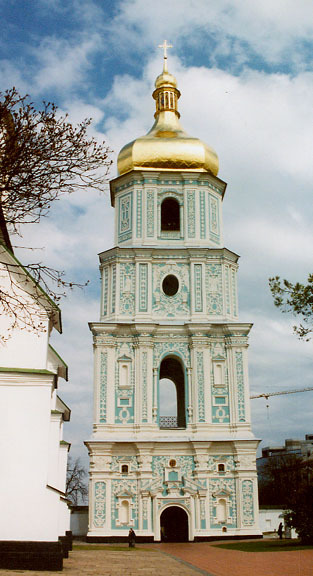 In 1992 the Ukrainian Orthodox Church split into two rival denominations when the Kyivan patriarchate was formed, separating itself from the Moscow patriarchate. 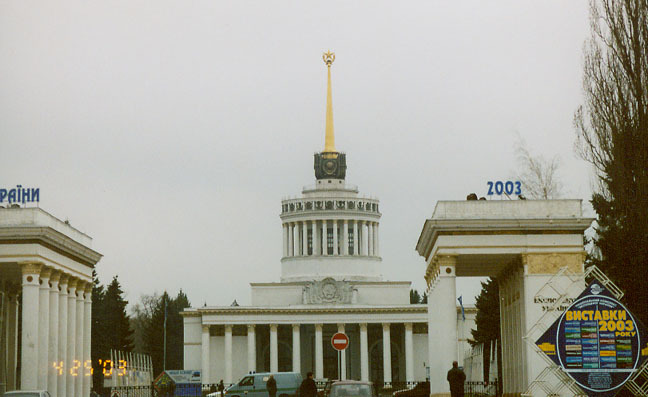 The autocephalous church, which was banned by the Soviet government in 1930, regained legal status in 1990. Nearly 10 percent of the population, based almost exclusively in western Ukraine, belongs to the Ukrainian Catholic (Uniate) Church, a church of the Byzantine rite (see Eastern Rite Churches); banned in 1946, this church was officially revived in 1991. Other denominations include Roman Catholics of the Latin rite, Jews, Muslims, and Baptists.